Ron Draper has been named president and chief executive at Textron Aviation maker of Cessna and Beechcraft airplanes, which employs 9,000 people in Wichita, Kansas succeeding Scott Ernest. 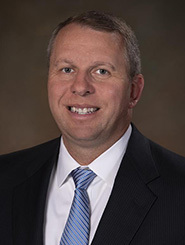 Ron has been at Textron Aviation since 2012, most recently as senior vice president of integrated supply chain and operations. Ron is a former Army helicopter pilot who has been with Textron Inc. companies including Bell helicopter since 1999.